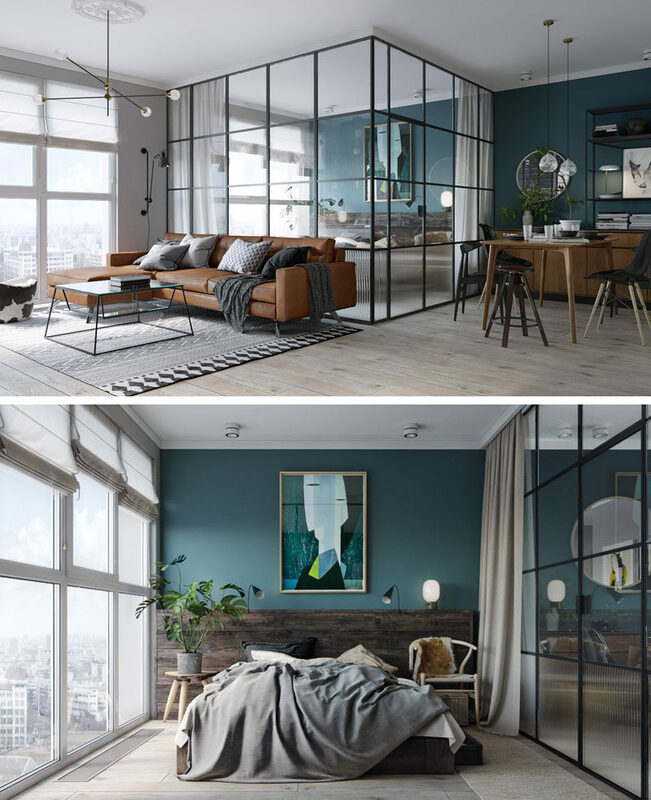 MARTINarchitects have recently completed this small 484 square foot (45 sqm) apartment in Kiev, Ukraine, for a client that wanted to use it as a rental apartment. 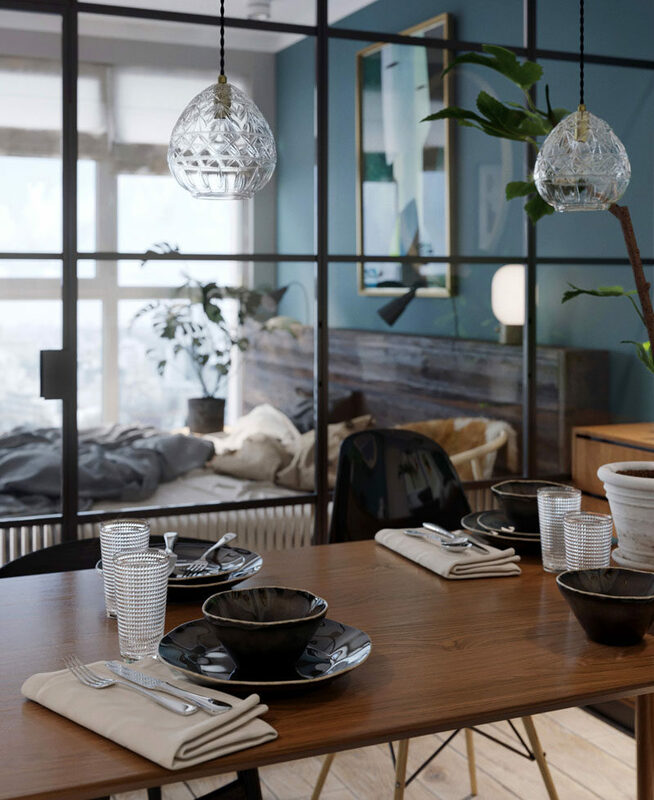 The architects were tasked with creating a contemporary apartment that would be functional, visually attractive, and versatile, as well as suit peoples different tastes and needs. Stepping into the apartment, you quickly realize that it’s bright and open, with large windows flooding the interior with natural light. A black brick wall draws your eye to the living area and kitchen. A white floating shelf in the living room doubles as a desk, and the white continues in the kitchen, where white cabinetry provides storage and conceals the refrigerator. A glass backsplash in the kitchen protects the brick and adds to the seamless look. On the wall opposite the kitchen is the dining area. A deep teal blue accent wall ties in with the front door and storage closet, while the wood furniture adds a natural touch and the black chairs compliment the black brick wall. Beside the dining area and behind the living room is the bedroom. 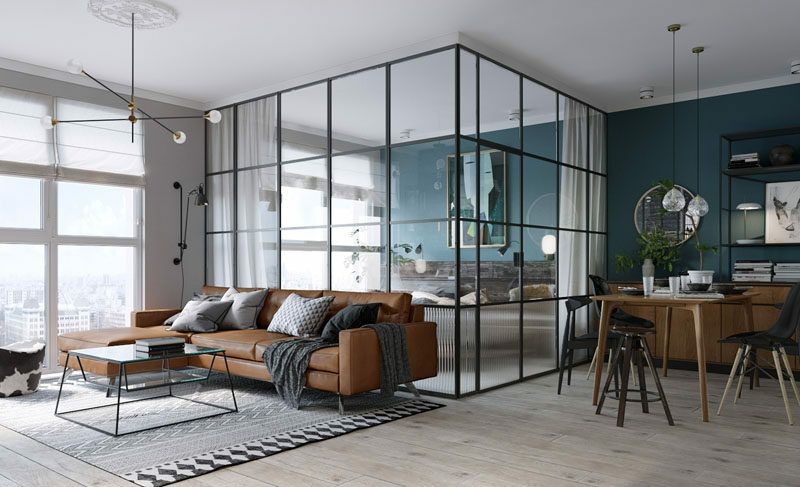 Black framed glass walls have been used to separate the bedroom from the rest of the apartment. 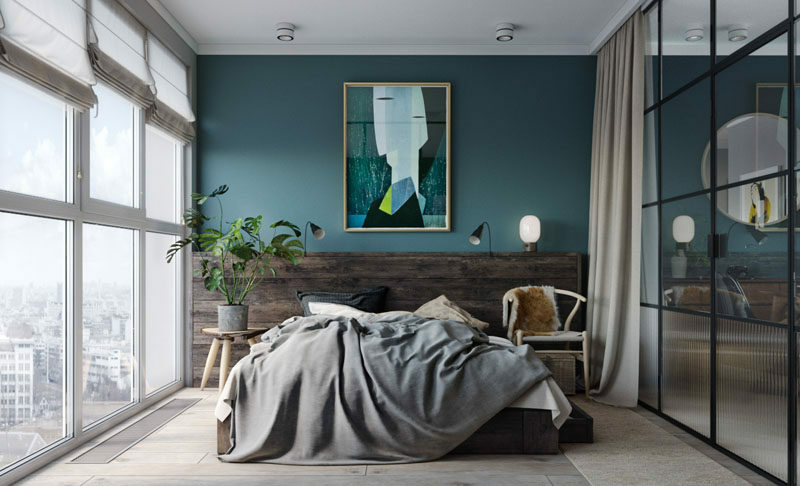 The deep teal wall from the dining room continues through to the bedroom, and the glass walls allow the light from the windows to travel throughout the apartment. At night, blinds and curtains can be drawn to provide privacy. In the bathroom, floor-to-ceiling light green tiles add a soft touch of color to the otherwise black, white and wood interior. In the black framed glass enclosed shower, there’s hidden lighting to add a calming glow to the bathroom.